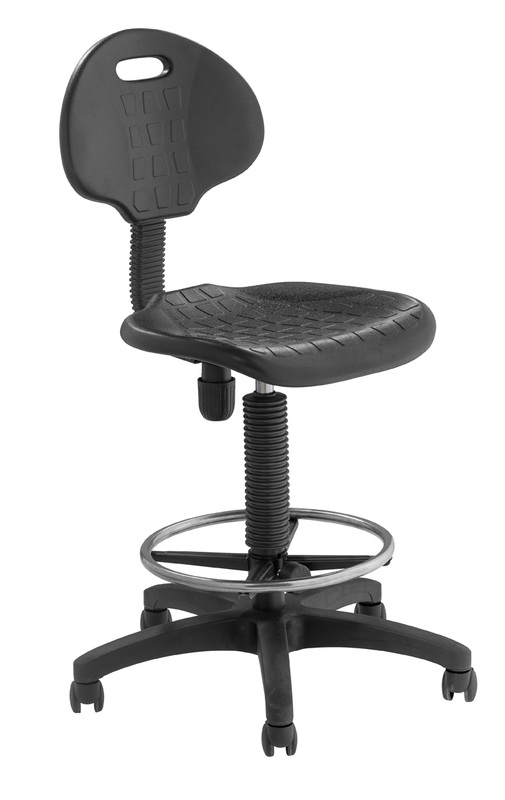 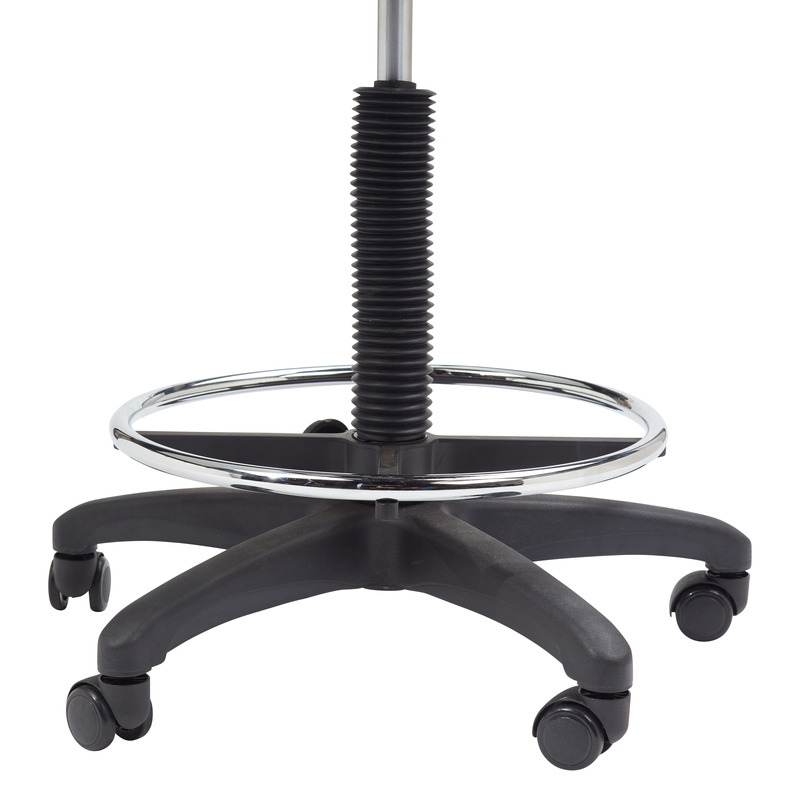 The Model #6722HB-A Kangaroo Stool from NPS® provides unique strength and function for your industrial seating demands, yet designed with beauty and grace in mind. 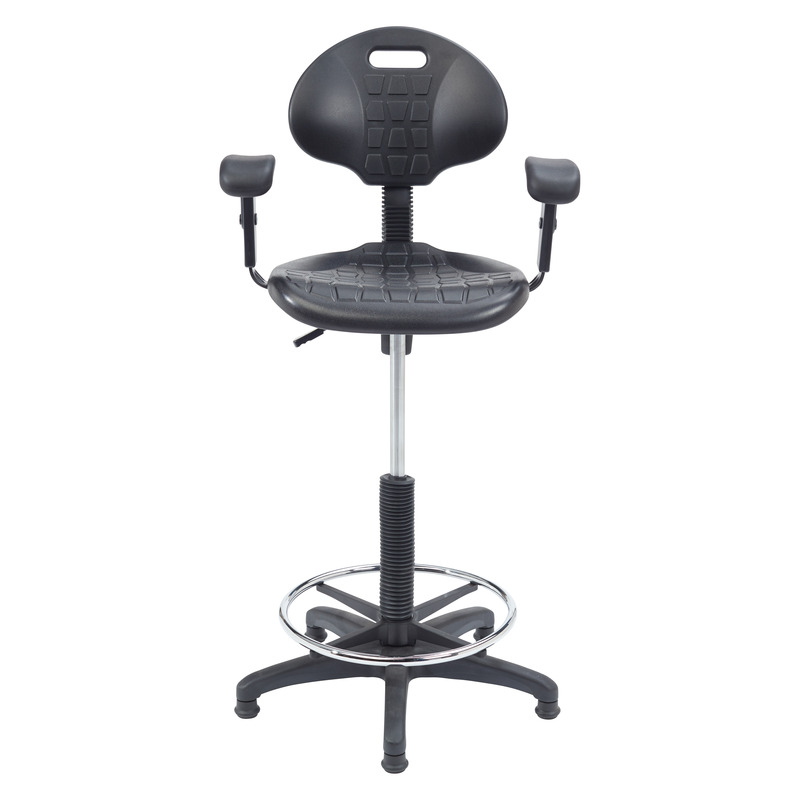 This model includes the addition of arms which enhance the stool offering added support and comfort. 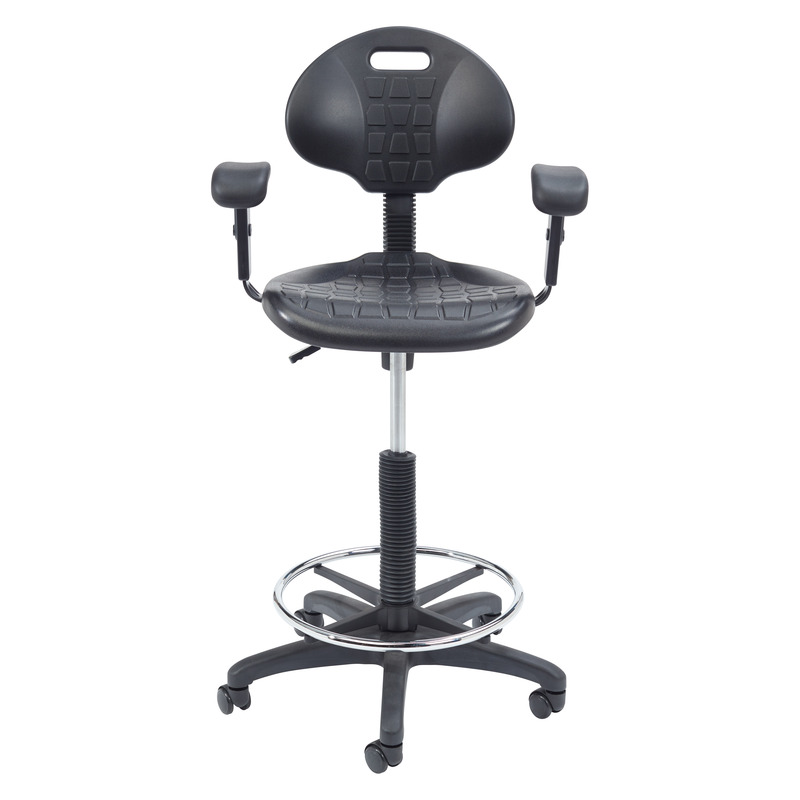 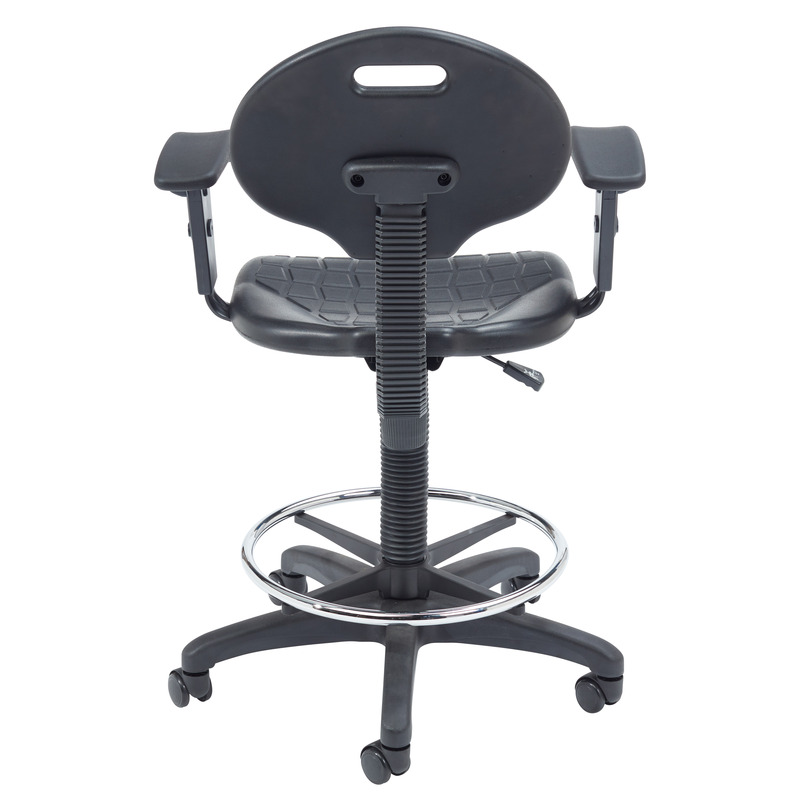 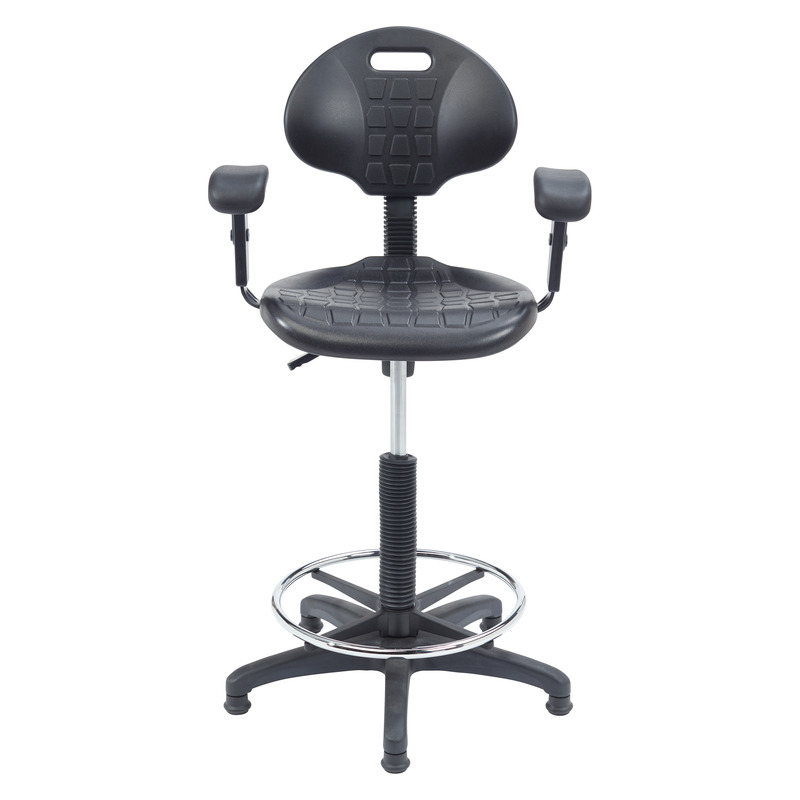 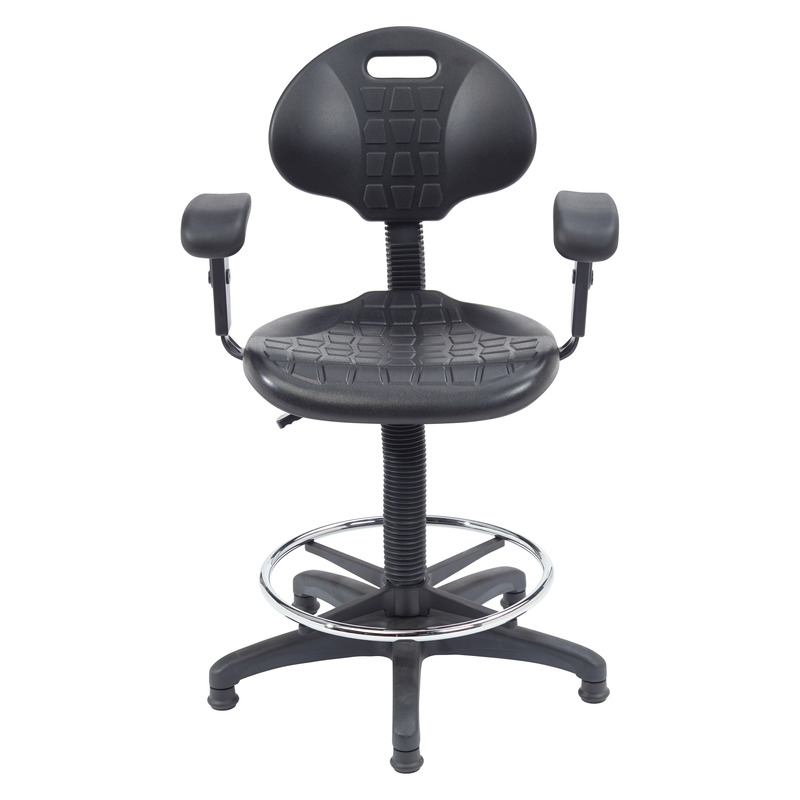 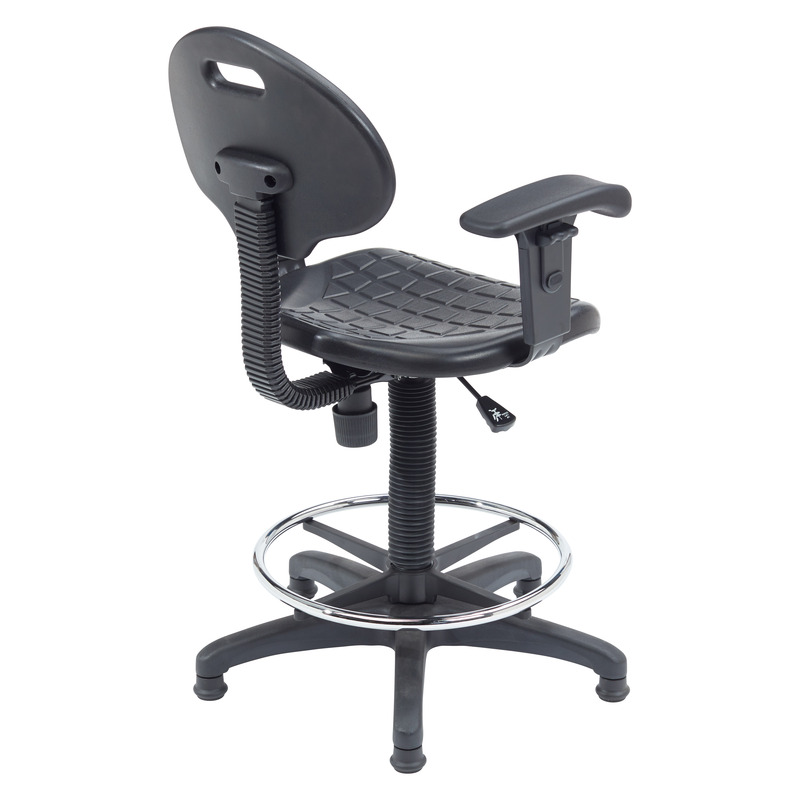 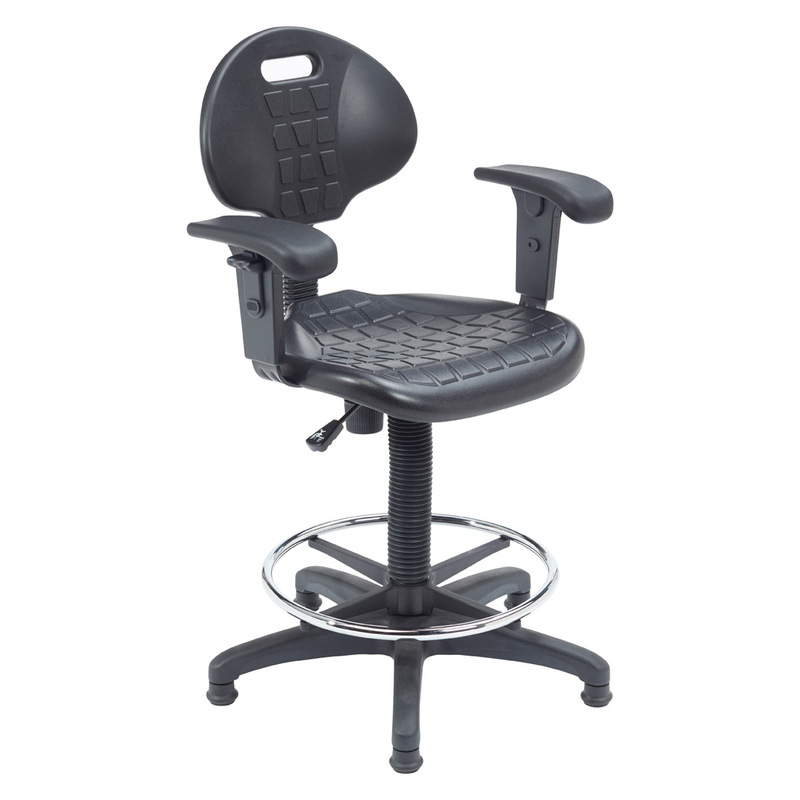 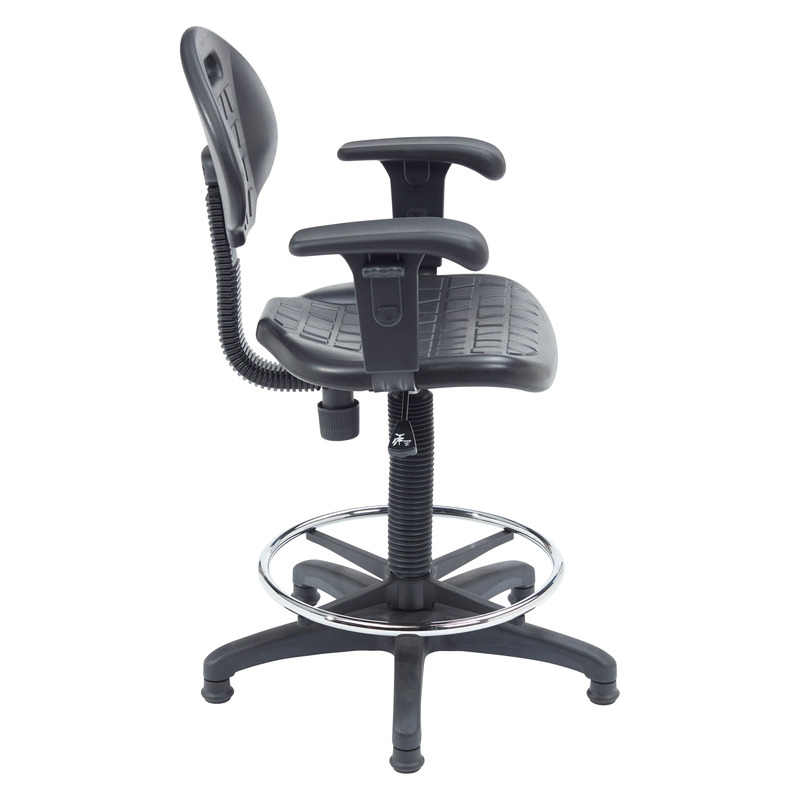 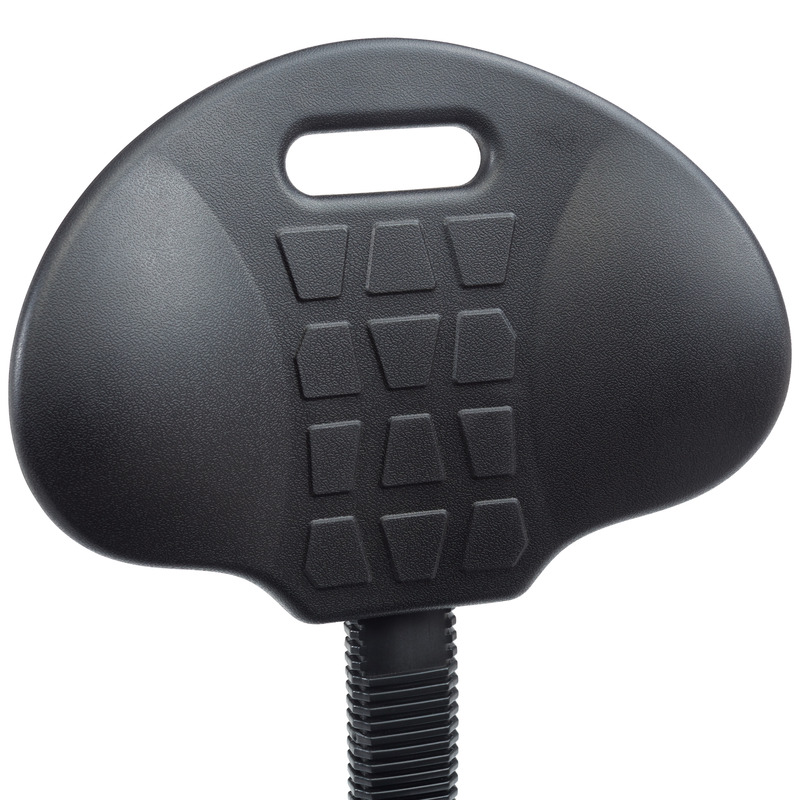 Heavy duty 1¼ inch thick Polyurethane seat has a waterfall edge for plush comfort and functionality, and ribbed ventilation design allows air circulation while seated. 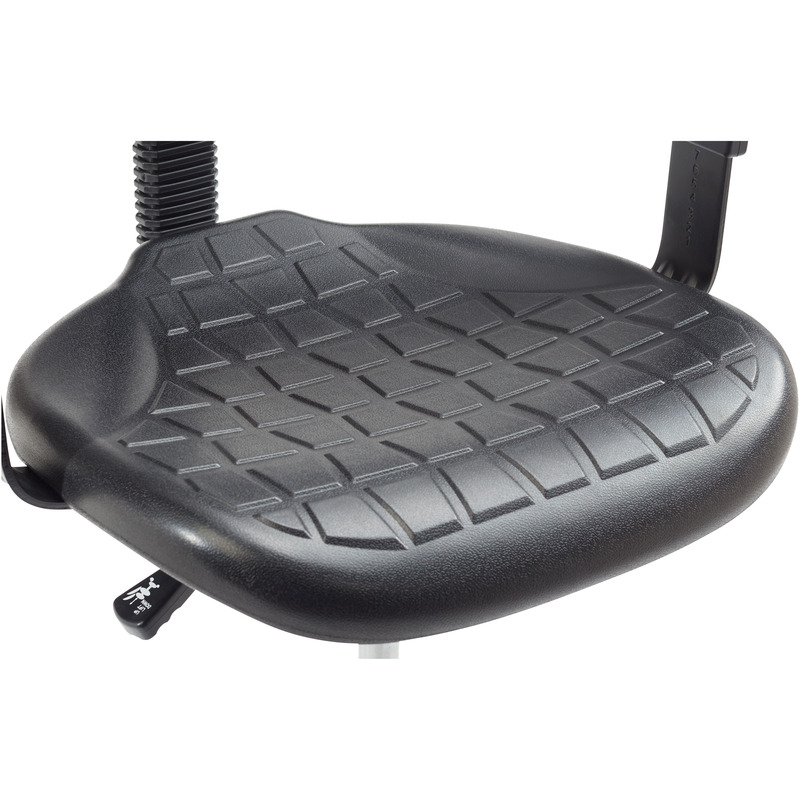 Polyurethane material is resistant to chemicals and punctures, and cleans easily. 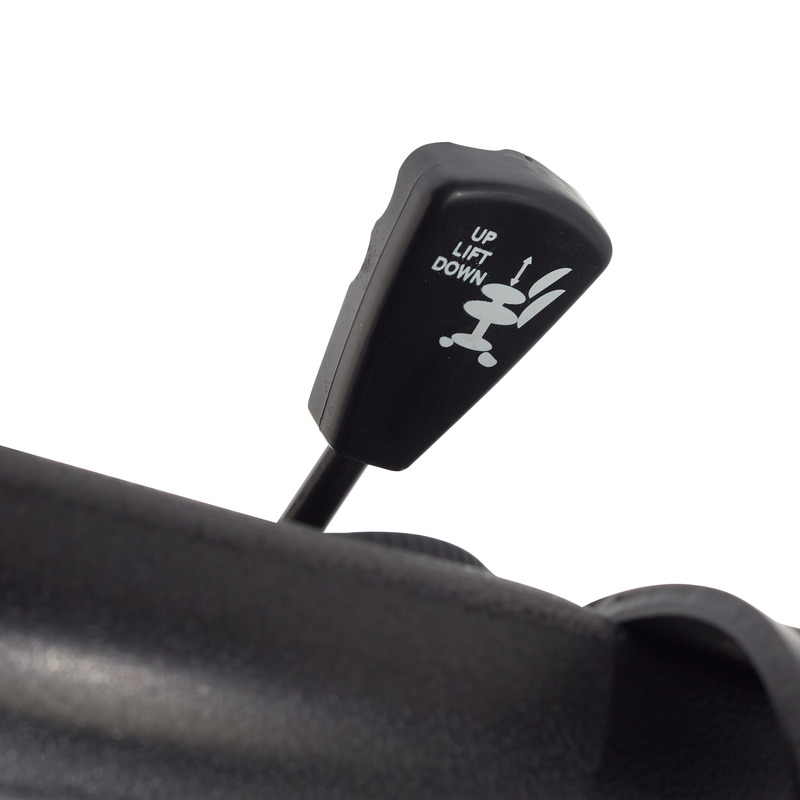 Includes accent trim for aesthetics. 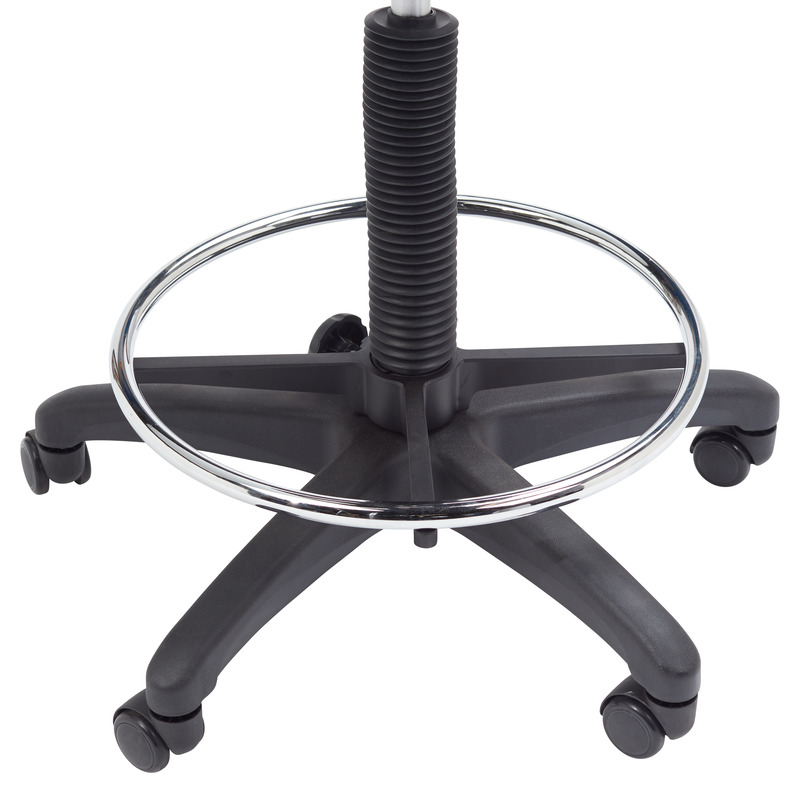 Features Pneumatic Height Adjustment From 22"-32"